Canamex Resources Corp. and Patriot Gold Corp. have signed a letter of intent whereby Canamex Resources will purchase Patriot Gold's remaining 30-per-cent working interest in the Bruner gold/silver mine for US$1.0 million plus the retention by Patriot of a 2-per-cent net smelter returns royalty. The consideration will consist of either all cash or a combination of cash and shares, to be agreed to by both parties, but with the share component not to exceed 9.9% of the issued and outstanding shares of Canamex. Additionally, Canamex will have the option to buy-down half of the NSR royalty retained by Patriot for US$5 million any time during a 5-year period following closing of the purchase and sale agreement. Closing of the transaction is subject to the negotiation and completion of a Purchase and Sale Agreement by both parties, board approval, satisfactory due diligence, and customary stock exchange approval, and is expected to finalize within a month. Canamex's Chief Executive Officer, Mark Billings, commented: "This acquisition makes sense for both parties as it will clarify the ownership structure of the project and will make financing the project easier as well and give our shareholders a 100-per-cent ownership stake in the greater Bruner property." Patriot Gold's president, Trevor Newton, said: "Patriot is gratified to see that the Bruner project is now ideally positioned for continued development. 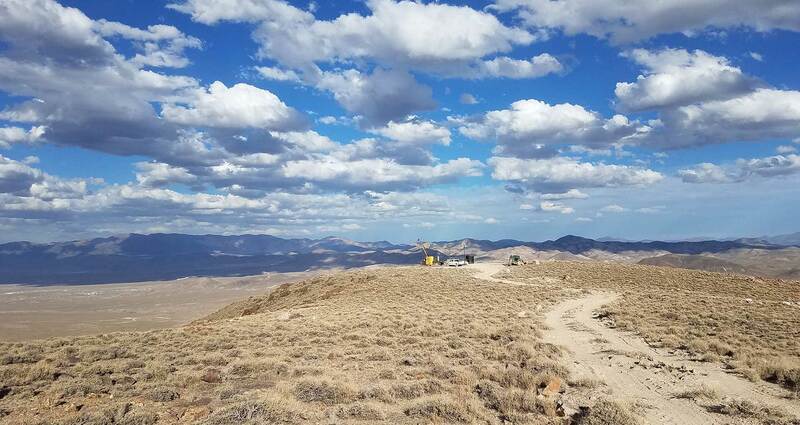 Bruner is one of the most exciting gold projects in Nevada, and has consistently delivered exceptional exploration results. It makes strong financial sense for Bruner to be under the control of a single operator in order to advance the exploration, development, and ultimately construction of the project. We believe that the benefit to Patriot's shareholders of the Bruner royalty interest will, in the long run, be significant."